Samsung users may want to purchase the latest iPhone 7/7 Plus to have a try with the iOS system. But few people know how to transfer the old Samsung contacts to the new iPhone 7 without complex operation. Well, what you need is just an excellent phone to phone data transferring tool to help you. 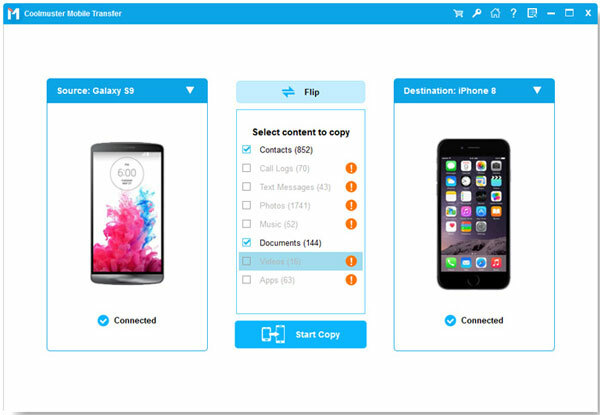 There are many transferring programs allow you to transfer data between iPhone and Samsung phone, and the most powerful and reliable one we want to recommend is Mobile Transfer. As its name implies, Mobile Transfer can help you transfer your data, including contacts, text messages, photos, videos, music, apps and many more between two mobile devices. No matter you use which phone brands, Samsung S7/S6/S6 edge, Galaxy A9/A7/A5, HTC M8/M9, LG G4/G3, Sony Z3, Motorola, iPhone 7/ 6s/ 6s Plus/ 6/ 6 Plus, etc., this software can always be helpful! For this topic, you can use the software to transfer contacts, including phone numbers, contact names, email address, company names and other more contact information between iPhone and Samsung. How to Transfer Contacts between Samsung and iPhone? Step 1. 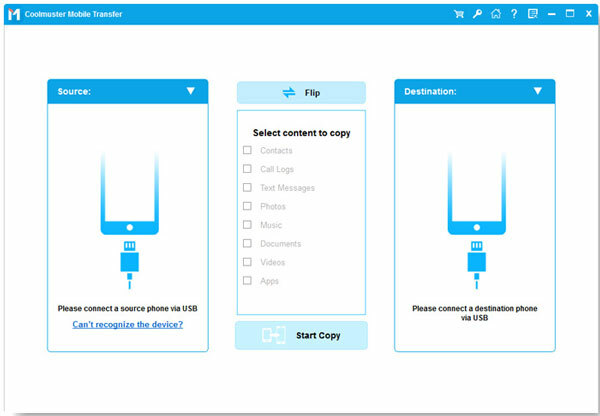 After opening the installed Mobile Transfer on the computer, get your Samsung and iPhone connected to the computer via the USB cords. Then, you can see the below interface. Choose the Phone to Phone Transfer mode and hit the Start option to continue the process. Step 2. You can see different file folders in your LG and iPhone are arranged on the top panel. You can enter the tab labeled "Contacts" to preview all contained phone numbers in the two phones. Tick out the contacts you want to transfer from iPhone to Samsung or Samsung to iPhone and hit the right or left arrow direction to start the transfer. With this Mobile Transfer, transferring contacts between iPhone and Samsung is just a matter of a few simple clicks! So what are you waiting for? Just get the right version of this software and give it a try!